Following an announcement on Betterlife Healthcare’s website that it is no longer in service, the company has confirmed to THIIS that it is removing big-ticket items such as mobility scooters from its range but is still supplying trade customers with a reduced range of Betterlife products. Discussing the motivation behind the move, Claire Salmons, Corporate Communications & PR Manager for McKesson UK – Betterlife’s parent company – told THIIS: “The independent living aids market has experienced similar issues to the rest of the high street and it has become increasingly difficult to remain competitive, particularly relating to the supply of high-ticket items into customers’ homes. 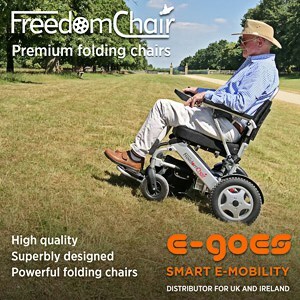 Despite the closure of its website and dedicated Betterlife bricks and mortar stores, the company confirmed that this is not the end of the Betterlife brand, emphasising that it will continue to sell selected products through its own network but will cease selling mobility scooters and powerchairs. “We will still be stocking some Betterlife products in LloydsPharmacy stores and customers will be able to get these items from partner independent community pharmacies — but not online, or via our Telesales team,” stated Claire. In addition to focusing on its own supply channels, Claire confirmed to THIIS that the company will still be supplying third-party customers, however, with a reduced range of products. “The Betterlife brand will remain and we will continue to provide support to existing customers through our customer service channels,” she added. For many, the decision will not come as a shock following Betterlife’s 2018 financial results. The company’s annual report revealed 2018 had been a difficult year for Betterlife, with operating profits falling to under £10,000, a significant decline to the £1.5million+ the mobility provider enjoyed the previous year. Originally founded as an online retail proposition by Grant Abrahams, former Head of Betterlife from LloydsPharmacy and present Retail Director of Drive DeVilbiss, Betterlife expanded in dedicated physical retail spaces in 2014 with its first store in Leeds. The company quickly expanded its bricks and mortar presence soon afterwards, launching its second store in Birmingham in March 2015 and then the Castle Vale store in October 2015. In early 2018 however, the company shut its award-winning Leeds store after less than four years, followed by the closure of its Castle Vale retail space. Sarah Jezard, Marketing Director at Betterlife, told THIIS back in July 2018: “The Betterlife store in Castle Vale closed at the end of April this year. Warranties and servicing are dealt with centrally so all our customers in the local area will continue to receive the same level of service if they have any questions or need a repair.